Interview with Dr. Nina Lewis-Larsson, chatting about how keto differs for women, what happens IN the body when women eat keto, why food quality is more important than calories, our new secret project, and so much more. This content might look familiar to some of you. I recorded this episode on Facebook and Instagram live a couple of weeks ago because I wanted you to meet today’s guest sooner rather than later… yep, she’s just THAT awesome. I’ve been working hard on my brand new project, and today’s guest is a big part of it. This project is bigger than anything I’ve ever done, and it was dreamed up and designed with love when I first started the ketogenic diet all those years ago. The best part? Next month, it’s going LIVE! I am so happy to finally share the news with you, and for you to meet Dr. Nina, a woman who is deeply passionate about helping others. 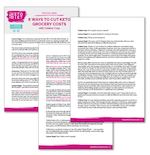 It was important for me to find the perfect fit for this project — a naturopathic medical doctor who could not only verify the science behind keto, but also break it down in a way that would be approachable and usable for everyone. I should probably stop gushing so we can get to the podcast episode, but I mean, can you blame me? This is going to be huge! … Listen to find out WHAT this project is and the potential it has to change everything for you. 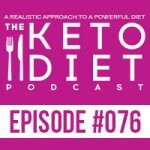 In today’s podcast, I chat with our guest Dr. Nina Lewis-Larsson, naturopathic medical doctor, keto enthusiast, dedicated practitioner, and the smartest person I know. No joke. She can legit answer just about any health or life question I send her way. 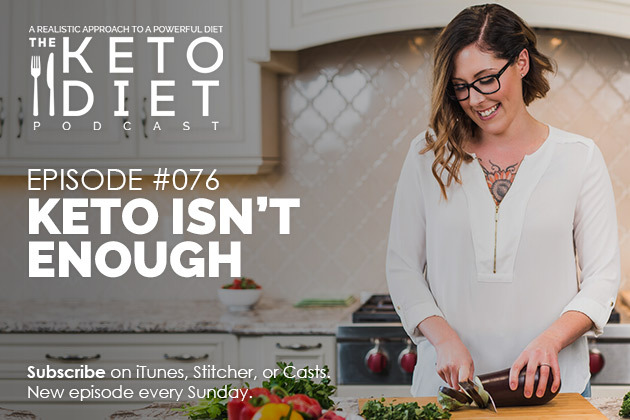 This episode is all about how women’s needs differ from men’s needs on keto, why keto isn’t enough, why food quality is ALWAYS more important than the calories, my not so secret project, and more. Exciting, right? 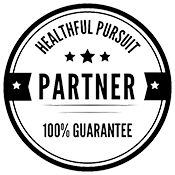 Signup to be one of the first to know when Happy Keto Body launches! Follow Dr. Nina over on her website.